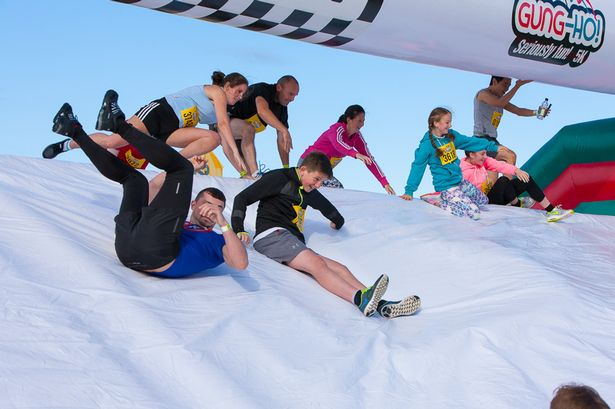 Gung-Ho is a 5K race which takes on ten of the greatest inflatable obstacles designed, one of the most unique slides and Europe’s biggest ever inflatable slide! The race was full of laughter, fun and involved a lot of team building exercises. 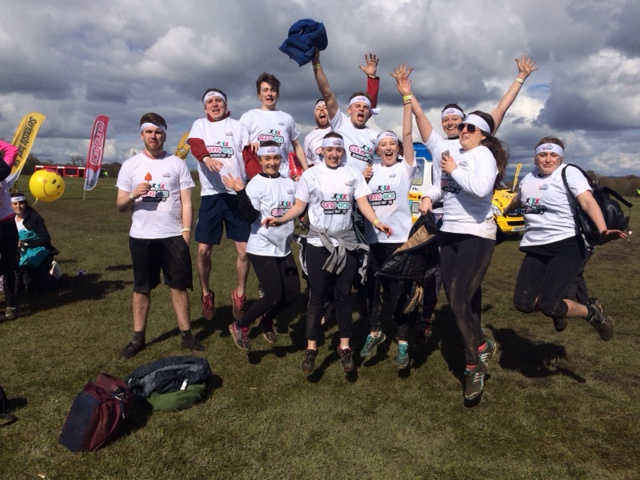 Gung-Ho was definitely only for the toughest of the toughest – it involved non-stop running, climbing, jumping and falling while you are covered in mud and foam at all times! The event took place in Heaton Park and anyone from general public to organisations could attend. 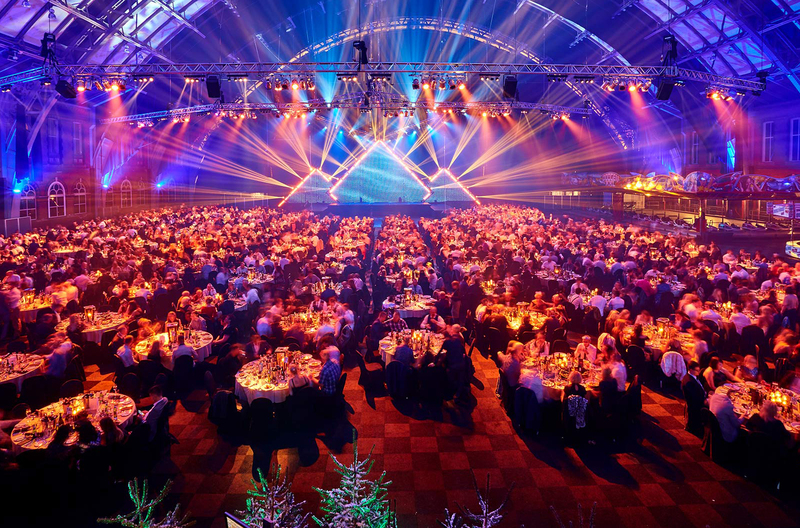 Gung-Ho worked in partnership with BBC Children in Need charity therefore all Tx Group team took part in a great cause and was involved in donation when purchasing tickets. 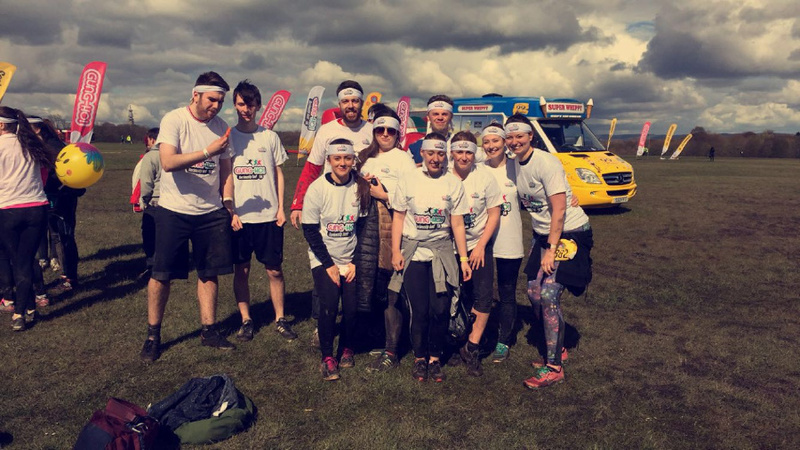 Tx Group team of therapists, marketing and admin people as well as directors themselves had the time of their lives on the day of the race! Gung-Ho awarded everyone with t-shirts and headbands after the race so we all have few memories at home to remember the great cause!